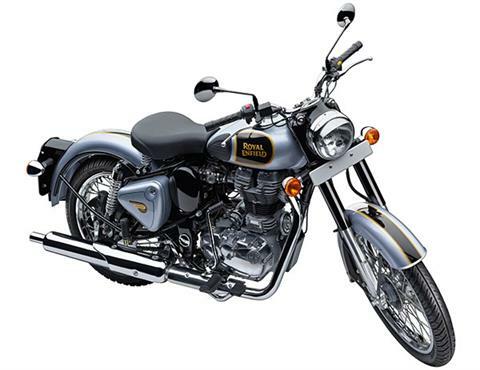 Armed with a potent fuel injected 500 cc engine and clothed in a disarmingly appealing post war styling, this promises to be the most coveted Royal Enfield in history. For those who want it all. 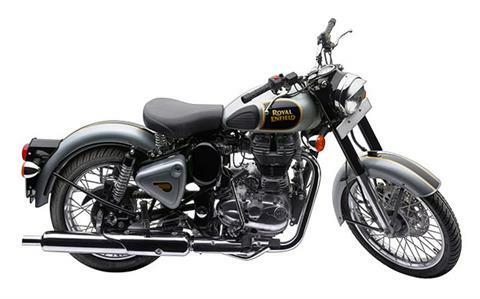 The power, the fuel efficiency, the reliability and simple, yet drop dead gorgeous classic styling. The classic turns heads not because it wants to but because it can’t help it. You will appreciate the beat not just for the music it creates but also for the muted feeling of strength and power that it signifies. 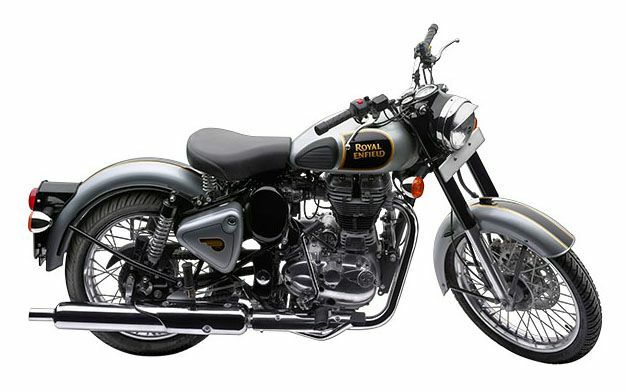 The view is simply better when you are astride a Royal Enfield Classic 500 – whether moving or still. Nothing more to be said. HEADLAMP: The headlight casing features the 'Tiger Eye Lamps' for that Bullet look. The headlamp is traditional but with a powerful halogen bulb to provide good illumination. SEAT: Single saddle seat with springs provides maximum comfort for luxurious and relaxing ride. SILENCER: Aesthetically designed short silencer for that 1950's look. Available as an optional accessory for off-road use only. TAIL LIGHTS: Vintage tail lamp assembly features a classic design. TOOL BOX: Tool box with classic design.